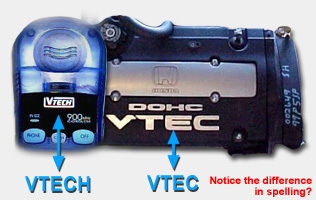 It is VTEC, not VTECH, ViTek, or VTEK. VTECH makes cordless phones. ViTek makes spark plug wires. Please respect the technology and use the correct spelling.